Even in Italy only few know about the Bombardment of Ancona. 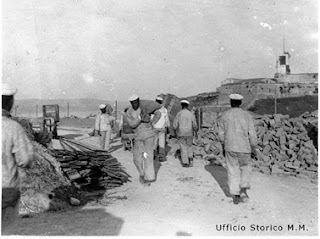 Far from the main front, this Adriatic seaside town of central Italy became the setting of a battle between the Austrian and Italian navies immediately after Italy’s declaration of war in May 1915. This fact has something to do with a sea-factor that played an important role in the troubled process that led the Italian kingdom to the war against its former ally. We cannot forget that its 7000km coast was for sure on the top of the minds of Italian politicians while evaluating all the war options. 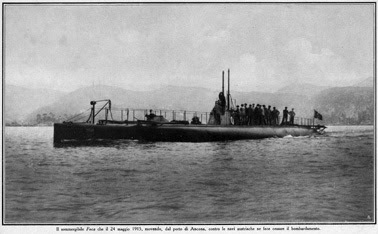 And just to give you an idea about the total disconnection among the Italian government, his diplomatic corps spread in Europe and the highest echelon of its Army in the timeframe between the summer of 1914 and the spring of 1915 with Italy entering the war, you should consider this fact: in 1914 the general Luigi Cadorna was already preparing the war, but in the western border with France. 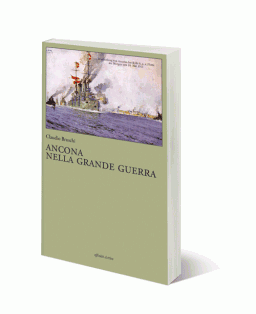 You may read this and other important considerations about this period in the book by Gian Enrico Rusconi entitled “The Hazard of 1915” (L’azzardo del 1915), as far as we know one of the deepest analyses of Italy’s ten months of neutrality. But let’s turn back to the city of Ancona in the years of the Great War, which is the core of a book by the military historian Claudio Bruschi, Ancona nella Grande Guerra (AE Edizioni, € 15, www.edizioniae.it). Even if you do not understand Italian you may be interested in this very informative book enriched with interesting photos. 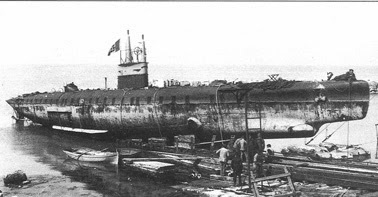 It gives evidence of the torpedo-armed motorboats (MAS) and dreadnoughts, of the first employment of submarines in this world war and of the use of submarines and seaplanes in the war theatre of Adriatic Sea. One of the merits of this study is to understand the delicate membrane between military history and history of civil population during the warfare in the peculiar case of a city lying close to the “water front” of the conflict. We often think about the Great War through the image of trenches in the mud and see it basically as a land war. This is true and the trench is by far the real protagonist of WWI imagery. 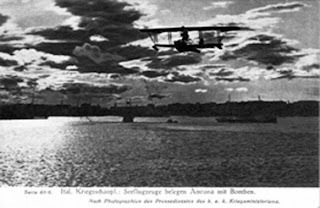 But air and sea operations during those years demonstrate the huge potential they would have in a totally different war scenario, no later than twenty-five years after. (We thank Edizioni AE for giving us the permission to publish some images taken from the book).